(42) “Pharmacy technician” means an individual other than an intern or extern, who assists in preparing, compounding, and dispensing medicines under the personal supervision of a licensed pharmacist and who is required to register as a pharmacy technician. 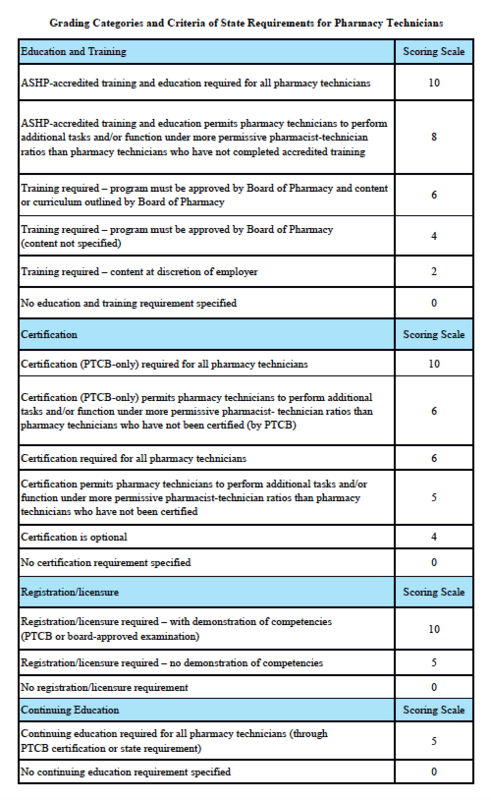 54) “Certified pharmacy technician” means an individual who is a registered pharmacy technician and who has completed the requirements provided for in Section 40-43-82(B). SECTION 40-43-82. Pharmacy technicians; registration; approval of training programs; minimum requirements; pharmacists previously disciplined not eligible to be technicians; volunteers at free medical clinics. (A)(1) The Board of Pharmacy shall register pharmacy technicians who are performing pharmacy functions under the supervision of a pharmacist. (2) A registration is valid from July one through June thirtieth and is renewable on dates as prescribed by the department with the consent of the board. An application for renewal must be on a board approved form provided by the department and must be submitted and accompanied by an annual fee in an amount established in accordance with Section 40-1-50. A pharmacy technician who has failed to properly renew a registration before July first shall immediately cease practice and refrain from performing any duties as a pharmacy technician. Reinstatement of a registration must be granted upon the board receiving a renewal application and renewal and penalty fees. (3) A pharmacy technician shall display his or her current registration in a conspicuous place in the primary pharmacy or drug outlet in which the technician is employed, so that the current registration is easily and readily observable by the public. A technician working in a pharmacy or drug outlet where the technician’s registration is not posted must have his or her wallet registration card with him or her. (d) fulfilled continuing education requirements as provided for in Section 40-43-130(G). (2) The pharmacist-in-charge shall verify compliance with the requirements of item (a) of subsection (B)(1) and maintained a record of this requirement in a readily retrievable manner for inspection. (4) check a technician’s repackaging of medications from bulk to unit dose in an institutional setting. (9) experiential training (practical experience). (E) A pharmacist whose license has been denied, revoked, suspended, or restricted for disciplinary purposes is not eligible to be registered as a pharmacy technician. (F) Notwithstanding the requirements of this section or any other provision of law or regulation, an individual who works as an unpaid volunteer under the personal supervision of a licensed pharmacist or who handles legend drugs in a pharmacy department of a free medical clinic staffed by a licensed pharmacist may be registered as a pharmacy technician and may perform pharmacy functions as a pharmacy technician without payment of a registration fee or filing with the board; provided, that a register is maintained in the pharmacy department of the free medical clinic bearing the name of every such volunteer performing pharmacy functions as a pharmacy technician and documenting each volunteer’s period of service. This special registration is valid only in the free medical clinic. The register must be kept for a period of three years. For the purposes of this section, “free medical clinic” means a permitted facility that provides medical services, including the dispensing of legend drugs and other medications, free of any charge to members of the public. HISTORY: 1998 Act No. 366, Section 1; 2000 Act No. 297, Section 1; 2002 Act No. 314, Section 4. SECTION 40-43-130. Continuing education; topics; hours; carry over of hours; exemption period following examination; certificate of completion; authority to grant exemption for postgraduate degree work. (G)(1) As a condition of registration renewal, a registered pharmacy technician shall complete ten hours of American Council on Pharmaceutical Education or CME I approved continuing education each year, beginning with the next renewal period after June 30, 2003. A minimum of four hours of the total hours must be obtained through attendance at lectures, seminars, or workshops. (2) Topics and formats of study for continuing education must include subject matter designed to maintain the professional competence of pharmacy technicians registered with the board and to improve their professional skills in order to protect the public health and safety. 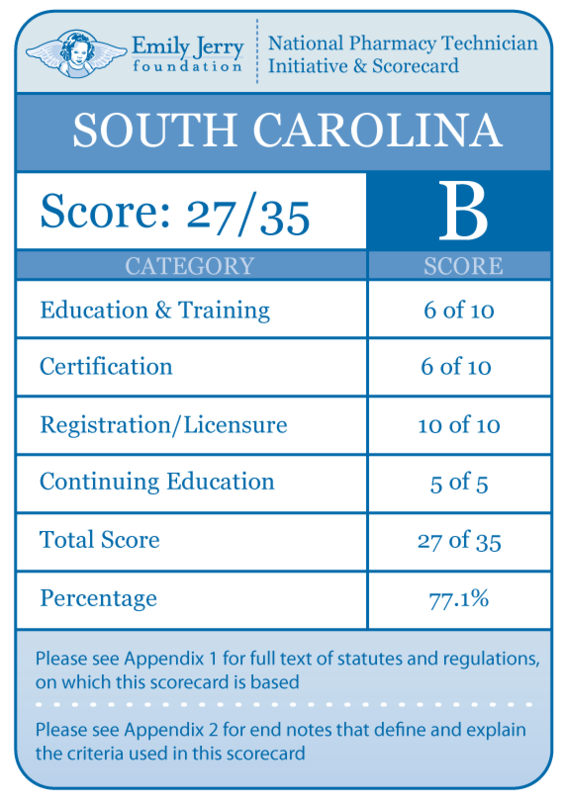 (3) Certification of completion of the required continuing education must be made on the annual registration renewal application, and no renewal may be issued without this certification. The board shall conduct an audit of continuing education credits of ten percent, randomly selected, of the total number of pharmacy technicians renewing. (4) All hours completed in any registration year in excess of the requirements may be carried forward for credit in the next registration year but may not be carried forward for more than one registration year. Any registered Pharmacy Technician attending accredited courses in a health-related field during the respective period of renewal may submit a transcript of such courses which would exempt them from submitting CE for the renewal requirements. Any registered Pharmacy Technician who holds a license in a healthcare field may also be exempt from submitting CE. They should submit a copy of their current license with their renewal application. Pharmacy Technicians submitting hours of practical experience for state-certification must obtain those hours in a permitted facility under the supervision of a licensed pharmacist or in those sites that comply with the description listed in 40-43-85(G). • Receive verbal request from patients for available refills. • Enter Rx information into computer, including drug allergies. *ONLY A LICENSED RPH MAY OVERRIDE Drug Utilization Review and Drug Interaction Alerts. • May process new Rx medications sales only after RPh provides counseling to the patient. • Compound, or mix meds. • Mix drugs in a dry form with water to make them an active liquid med. • Receive and initiate verbal telephone orders. • Conduct a one-time transfer. • Check a technician’s refill of medications if the medication is to be administered by a licensed healthcare professional in an institutional setting. • Check a technician’s repackaging of medications from bulk to unit dose in an institutional setting.